What is EMP 60 Day fast start challenge? And Why did I join it? I have been an member of EMP for many years and have been studying and learning good stuff. But I have never taking BIG action, just small steps and then falling back to first spot again, just because I didn´t know what do to back in 2010/ 2011. There was so much new things with all terms and words like Capturepages, HTML, Autoresponder, Splittest, build Your list and so on. I made sales for some of the products in EMP (Magnetic Sponsoring) back in 2011. I made an testemonial in one email from MS that You didn´t need to have a big list to make money in MS. The list I had when making $200 was 7 persons that had find my link from some site I put up for free. And then something stopped me from taking action. And do You know what that was? It was me, that stopped myself from doing business on Internet. And what is EMP 60days fast start challenge? 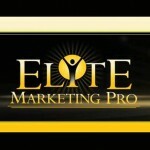 It is a kickstart how to get result with Elite Marketing Pro in 60 days. And also for all other business online. If You are consistent and do small steps every day You will finally reach that big goal of yours. What we have in these 60days is webinars 2 times a week, to bad for me they are 03.00 am in my timezone. Way to early, but I can still watch them later on a replay. I will also learn how to use different strategies to advertise my business without spending to much money. Blog strategies, videomarketing and more to come. We will also have homework to do every week. This week it is about making a video and post it online. So now I am back on track again and will fight for this to happen. One goal of mine is to reduce my hours on my dayjob and replace them with schooltime. In this case I mean I can be a resource for the teachers at my kids school. They have had problems with bullying, fighting and my son has been thretened by a classmate with a knife saying that he should stab my son. The kids are only 12 years old. So they need all help they can get in their school. And that is my reason for doing EMP 60 days fast start challenge.